Fifty-one media outlets have signed on to broadcast the 2017 World Baseball Classic, which began earlier today in Seoul, South Korea. 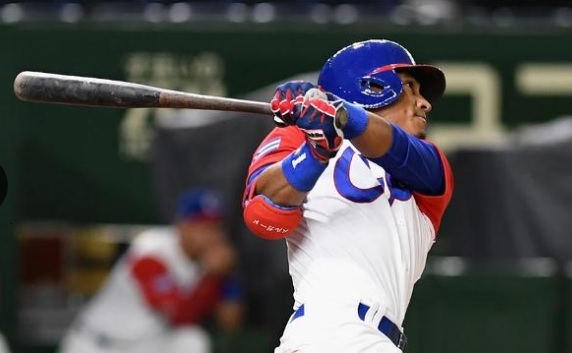 The fourth installment of the premier international baseball tournament, which features the world’s top 16 National Teams competing over a 17-day span, will be distributed via media platforms in 182 countries and territories worldwide with a global reach of more than 415 million households. In addition to local language coverage and play-by-play, World Baseball Classic Inc. (WBCI) will offer a fully-produced English-language feed of each game for global distribution. WBCI worked with MP & Silva, a leading international media rights agency, on the global media distribution for the tournament. Broadcasts from the previous edition of the World Baseball Classic in 2013 set numerous records around the world. The 2013 Final was one of the most watched sporting events in Dominican Republic history and was the year’s most watched sporting event in Puerto Rico. Japan vs. the Kingdom of the Netherlands (March 10, 2013) was the most viewed sporting event over the previous 12 months in Japan, out-rating all 2012 Olympic coverage. In Chinese Taipei, an extra-inning thriller between Japan and Chinese Taipei was the highest-rated cable program in the country’s history. In the United States, the 2013 World Baseball Classic delivered six of MLB Network’s top seven most-watched games outside of the Postseason. The 2013 tournament also delivered the Network’s most-watched March and the most-watched first quarter in its history. The 2013 Final was the most-viewed baseball game ever on ESPN Deportes at the time. In 2009, the Korea vs. Japan Final (March 23, 2009) averaged more than 14 million viewers across Korea, where all nine Team Korea tournament games achieved an average audience of 9.4 million. In the inaugural 2006 tournament, the Cuba vs Japan Final received the third best rating at the time for any professional baseball broadcast in Japan since 1977. The full list can be found here: https://www.worldbaseballclassic.com/info/broadcast-partners. Rosters for the 2017 World Baseball Classic feature tournament record totals of 63 MLB All-Stars and 259 players under contract with MLB organizations.